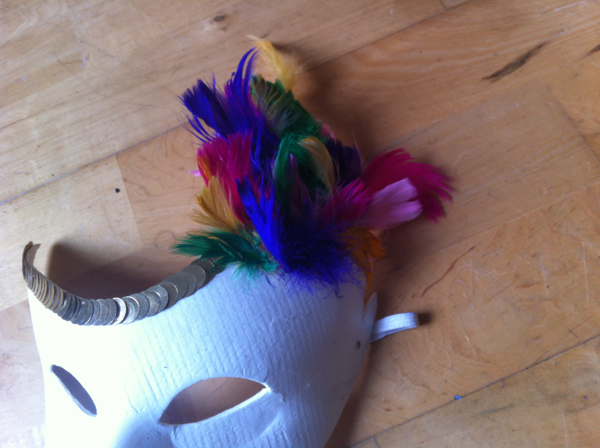 I love masquerade masks but they are so expensive to buy and the cheap ones look... well... cheap. 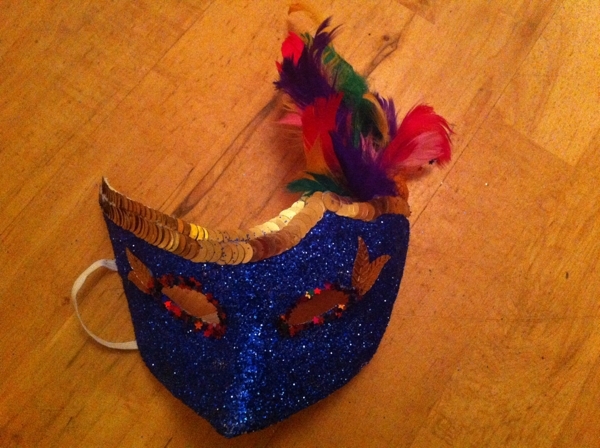 I found these mask templates in Mr.Price in the Blanchards Town shopping centre for only 79c. 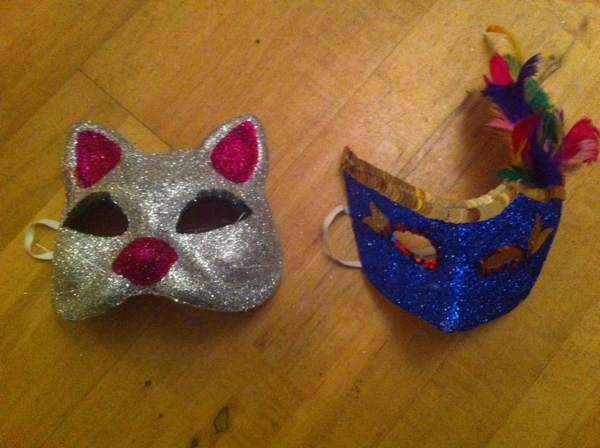 they are sturdy heavy duty masks with elastic and all! 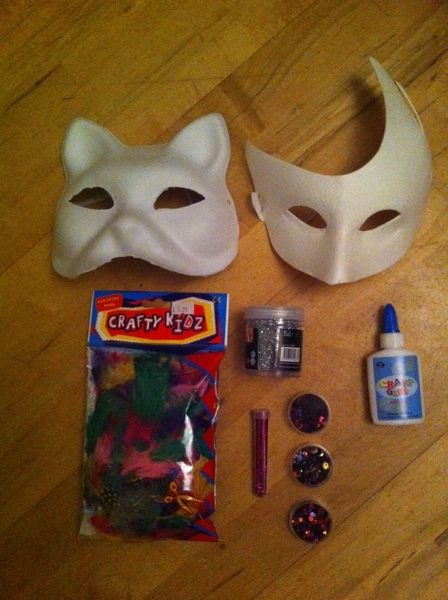 Cover the mask in glue where you want your first glitter colour to go. 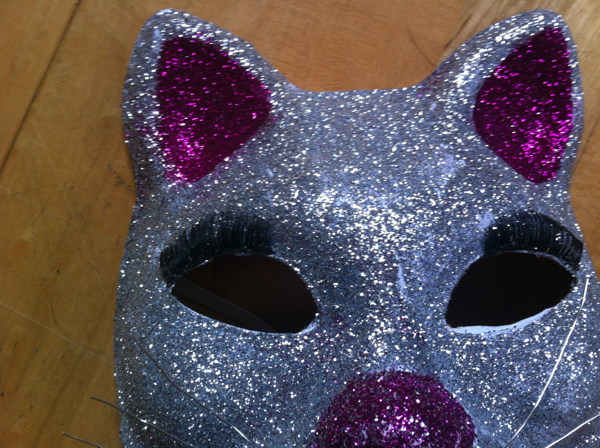 Then cover in glitter. Do this on paper or a lid as glitter goes everywhere and you can save most of it this way and reuse it. 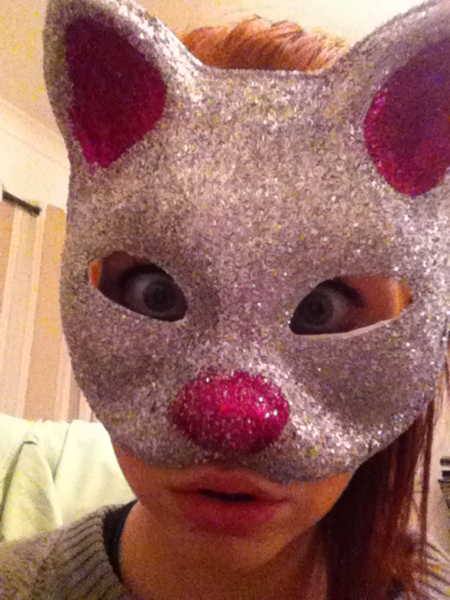 Do the same with the pink glitter on the ears and nose. These have to be a bit more tidy than the base colour. Im a mess so it's not tidy at all. Look at me! 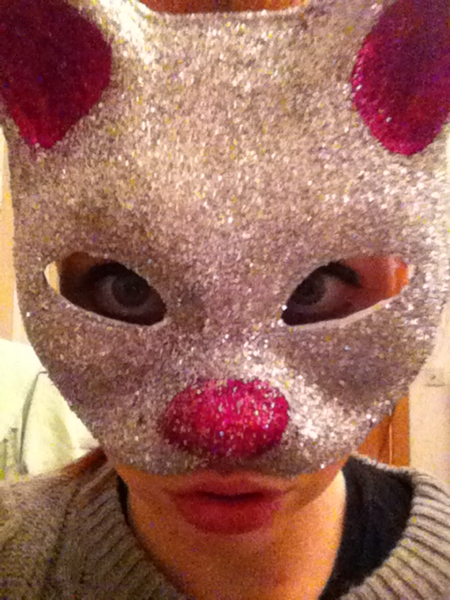 I'm a cat! 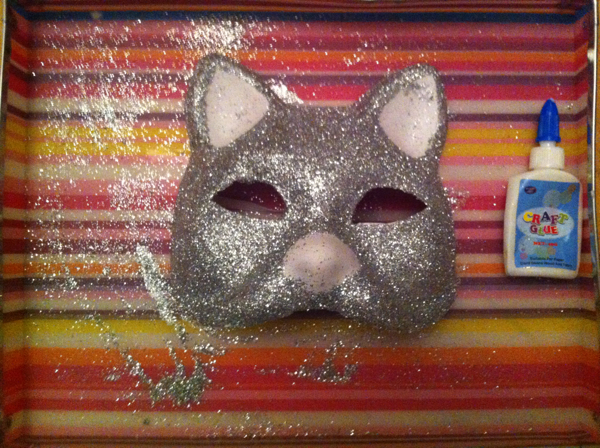 To me it didnt really look like a cat so I gave him so whiskers and some flashy eyes! 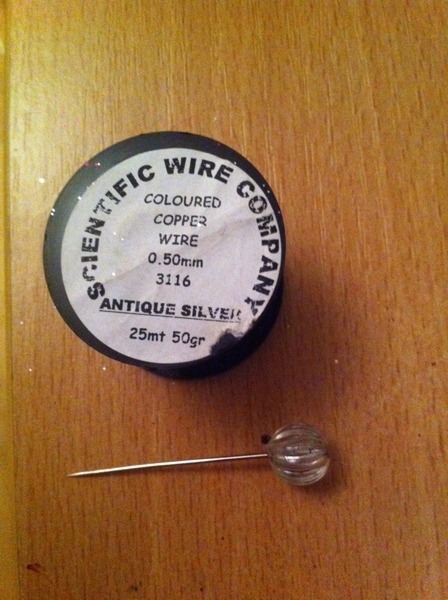 To make the whiskers I used copper wire which is about €8 in beads and bling Dublin. Dont go buying it just for this project. Use something else like pipe-cleaners or something. 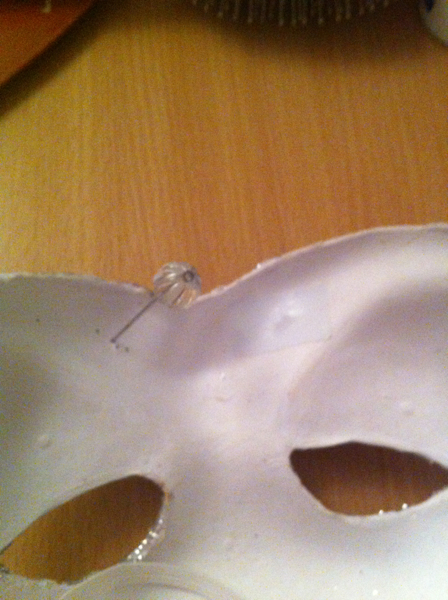 Get a big dress makers pin or something sharp and pierce 4 holes in the mask. 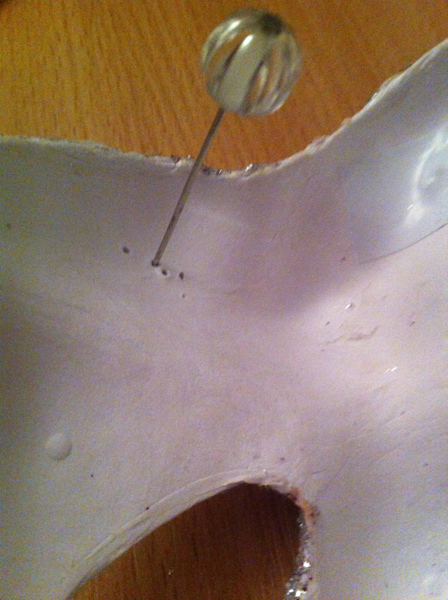 Thread the wire through and tape the back with electrical tape to hold in place. I also added some fake eyelashes. These I got in pennies for €1.50. I had actually worn them on a night out previous (ewww) and didnt lose them. SUCCESS! I lined the eyes with black paint. 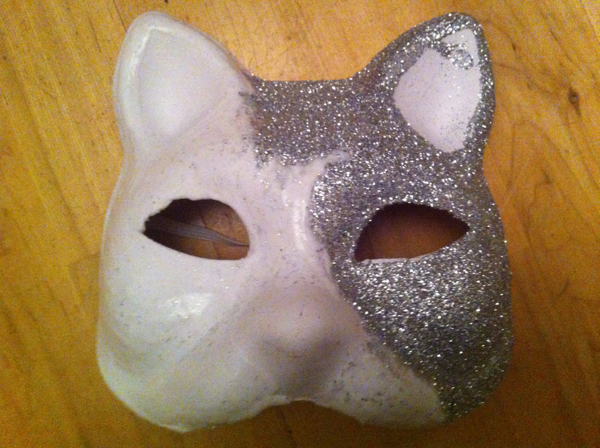 wear this mask with heavy black eye makeup underneath so that your eyes pop from behind the mask. Here I have no make up on and my eyes are lost. 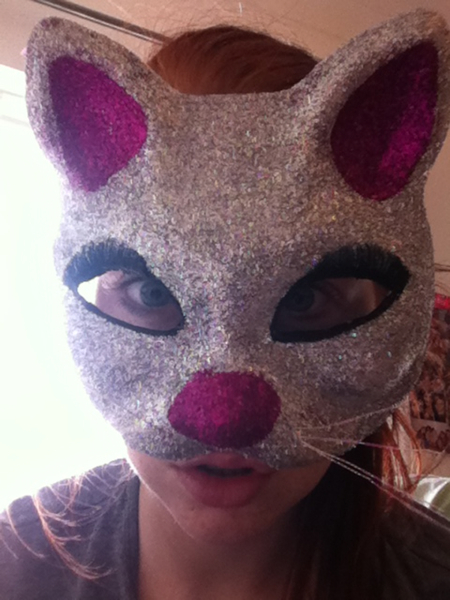 This is the other mask I bought. I glued on feathers and glitter and sequins. So don't spend a bomb on a masquerade mask this Halloween. 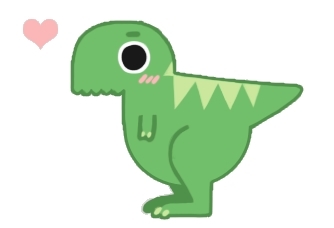 Make one yourself! Head to Blanchards town Shopping center and buy some supplies! These cost approx. €3 to make. Probably less.